Social media is a wonderful thing and it can be a great way to build your business, but ( there is always a but ) only if you do it the right way. If you’ve read my previous blog posts, you will have noticed that I usually tell you not to race ahead and do things online, without properly thinking it through. Social media is definitely no different. Getting your business onto social networks, such as Facebook and Twitter is quick, simple and cost free, but don’t let that fool you into thinking that it’s an easy option. Social media done badly, at best does nothing to help your business and at it’s worst can have a catastrophic effect and cause serious damage. All businesses make mistakes from time to time, but most of them are in the relative privacy of your own organisation. Making a business mistake on a public platform, with global reach, can turn a mistake into something that ruins your reputation and gets your company the wrong sort of attention. With this in mind I decided to give you WorthyOnTheWeb’s 10 Rules of Social Media. There are literally hundreds of different social networks, don’t try and be on all of them. Don’t even try to be on all the one’s you’ve heard of. 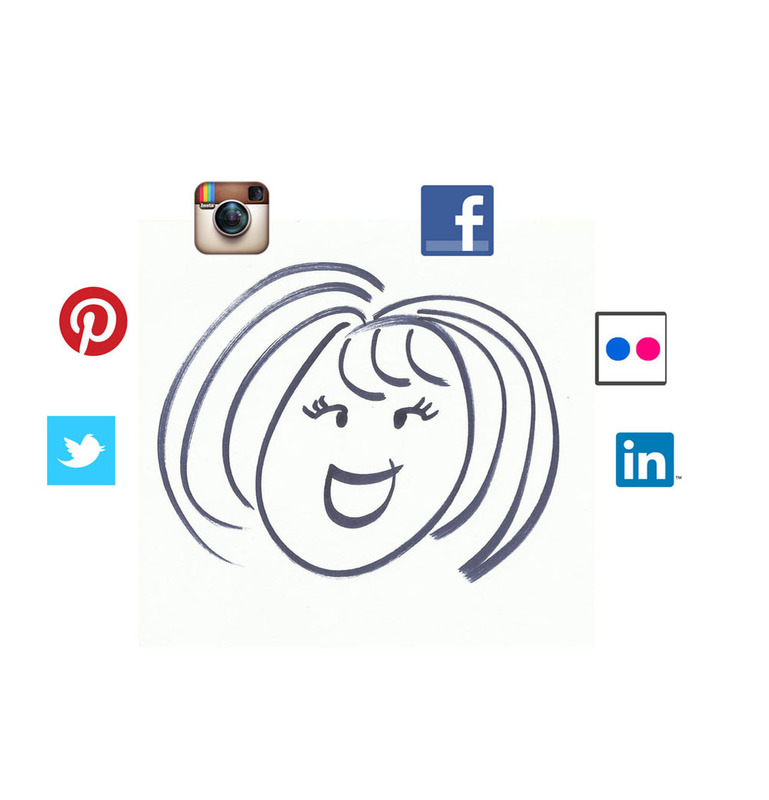 Managing a social media account is a time commitment and shouldn’t be something you do sporadically. An out of date Facebook page and an abandoned Twitter account is not going to get you any extra business. It is also fairly pointless devoting several hours a week tending to your MySpace account if none of your customers use that platform. Think about where your target customers and / or business peers are online. This is a social media account for your business, so be professional. As a small business it can be difficult to separate you from your company, but it’s important to consider whether it’s a good idea to entirely merge into one identity. If you decide that you should, then be aware that you are still representing your company with every post and tweet. As a small business owner, it is almost impossible to avoid taking criticism personally, but be careful how you respond to negative comments posted online. The internet has many cases of small businesses responding inappropriately to criticism and regretting it. Customer service complaints can result in public slanging matches, which rarely resolve matters effectively and will attract the attention of an online audience. If a customer highlights poor service on social media, then publicly thank them for raising it and then try and get that conversation offline. Ask them to privately message you their contact details, so that you can communicate on a one to one basis and sort out the problem. Check your spelling and grammar when you post for your business. Writing informally is fine on social media, in fact it is usually preferable, but incorrect spelling makes you look unprofessional. Do you know the difference between “too” and “to”? Are you using “there”, “their” and “they’re” correctly? Lots of people don’t, try not to be one of them. Do not encourage your audience to question your competence and professionalism. Twitter’s 140 characters is generally not enough to say what you would like to say and follow all the rules of grammar and punctuation, but there is a balance. Social media is a chance to chat with your customers, so try and make sure that you have a personality and make sure that personality reflects your brand. The informal nature of social media means that you have an opportunity to engage, share relevant content and give your customers an insight into you and your organisation. Use your social media posts as an opportunity to build on your brand and show the world who you are. Social media is supposed to be two way communication. It is about engaging with your audience. It’s not all about you! I’m not trying to suggest that you are anything less than fascination personified but even interesting people aren’t interesting if they never stop talking, particularly if they only ever talk about themselves. There are a number of products that allow you to schedule your social media posts, which means that you can plan your time more effectively. When deciding on a social media schedule, think about the end result. It is useful to be able to send the same tweet more than once, but nobody enjoys receiving the same messages over and over again. Your blog post may be the best thing in the world (it probably isn’t by the way) but nobody wants an hourly tweet linking to it and if you continue to fill people’s timelines, there is a strong chance that they will get bored and stop following you. The internet is a wonderful thing, but it has a dark side. Ensure that you use a secure password for all online accounts. This advice also applies to your personal social media accounts, along with every other online system. Using weak passwords is a bad idea, as is using the same password for multiple accounts. Unscrupulous individuals will use your account for their own ends and you’ll be left with the havoc that causes. If you make the mistake of using the same password for more than one network, then you are giving them easy access to your other accounts. Much as I personally hate some of the complicated rules you have to follow when selecting a password, there is a method in the madness and unfortunately at this moment in time, strong passwords are one of the best ways to protect your account from malicious strangers. Sometimes the people who hurt us are those that we know. Many businesses have several individuals within the company who post on their behalf. Before you hand over the passwords to your digital identity, make sure that you have chosen the right person. Will you be happy with the content they post? When you delegate the job of managing your social media accounts to a third party, they are representing you and your company. How sure are you that they will represent you in the way you would like? In 2013 a local pub demonstrated the dangers of not controlling access to social media. Allowing a disgruntled former employee to tweet on your behalf is a terrific example of how not to use social media for business. Following the dismissal of their head chef over an internal dispute about Christmas working hours, a Twitter account associated with The Plough made a number of posts about the sacking. The messages were re-tweeted thousands of times by other Twitter users and because the actual account had been set up (with permission) by the chef, the posts remained live for some time afterwards. Social media can and in many cases does, result in additional sales but it is about engaging with customers, not chasing them down the street and begging them to buy your latest product. There is nothing wrong with using social media for promotion, but be mindful that a pure 100% sales pitch is unlikely to help you build a relationship. Your audience is interested in your products and services, but if every post and tweet is you trying to sell them your latest range of widgets, then you’re doing it wrong. Talk with your audience not at them. In addition to promotion and engagement, social media can be used for customer service and research, don’t waste those opportunities by only having one topic of conversation. Doug Wray created a famous and much copied explanation of social media explained through donuts. Get to know a network before you start posting on it and make sure that you don’t damage your reputation by making rookie mistakes. If you have a Facebook page, a Twitter account and a website then make sure that your audience knows that. Include the details of your Facebook page or Twitter stream on your website. Do you regularly post images on Instagram or Flickr? If you do, then you should tell your Twitter followers. Do the people who like you on Facebook know that you have a blog? Do your blog readers know that you have a website? If not, why not? So those are WorthyOnTheWeb’s 10 Rules for Social Media. There are lots of other pitfalls but hopefully my starter for ten will keep you out of trouble whilst you discover the others.